UA4640 ULTIC ARMOR O-ring Rings of ULTIC ARMOR formed with O-shaped cross-section (transparent amber). Plasma resistant grade. Excels in purity, plasma resistance, heat resistance and adhesion resistance against metal. Used in dry etching, ashing and CVD devices for semiconductor and liquid crystal equipment. UAF4640 ULTIC ARMOR-F This product is formed by molding ULTIC ARMOR-F into a ring shape with an O-shaped cross section. It has excellent purity, plasma resistance, heat-resisting properties, and non-adhesive characteristics against metals. It is used inside dry-etching/ashing systems or CVD systems in semiconductors and LCD equipment. UB4060 ULTIC ARMOR bonded gate seal Gate seal plate baked and integrally molded with transfer gate metal. Used to provide a solution to such problems as torsion, breakage, dusting and dropout of O-ring seal materials that may occur in transfer gate seal mechanisms using O-rings for semiconductor equipment. UF300 UNIVERSAL HYPER This product possesses high-temperature reliability equal to that of other high-performance sheet gaskets (GF300, for example), offering both chemical resistance and high-temperature characteristics. 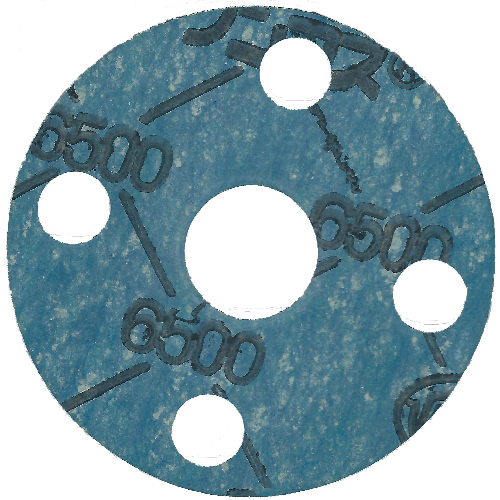 This high-performance sheet gasket can be used for the widest variety of fluids and enables integration of gaskets on chemical lines, as different applications are not required depending on acid or alkali fluids. It effectively promotes gasket integration at plants with both alkali and acid lines. Suitable for high temperature use in industrial equipment, pipe flanges, etc. used with water, sea water, hot water, steam, air, oil, general solvents, weak acid/weak alkali, strong acid/strong alkali, and gases of all types.